Decided for Meridianosedici: Henkel; Valtur; FTI Touristik; Neckermann; Thomas Cook; Wikinger Reisen; ADAC; DERTOUR; TUI Deutschland; TUI Holland; TUI Nordic - Fritidsresor; TUI Reisecenters; Bayrischer Rundfunk; First Agenzie; American Express; Telecom Italia; LONDA GmbH; TM 3; Best Agenzie; Reiseland; Hapag Lloyd; Hessischer Rundfunk; BigXtra; Hebbel Agenzie; Deutscher Herold. Il vento tra i capelli per un viaggio alla scoperta delle coste del Sud Italia. Come? A bordo di una storica lambretta o di un auto d’epoca. Per gli appassionati dei motori o per chi, semplicemente, è affascinato dalle bellezze d’Italia, Meridianosedici organizza tour alla scoperta della costiera Amalfitana o delle strade di straordinaria bellezza della costa di Maratea, tra i paesi e le masserie della Puglia, nel cuore verde della Calabria o nei romantici dintorni di Roma. I viaggi includono pernottamenti e soste per il pranzo o la cena in luoghi scelti caratteristici dove scoprire e degustare le specialità del posto. Qui si potrà rivivere la magia sensazionale delle tradizioni di quel Sud che ancora conserva il legame speciale con la ricca tradizione del passato senza rinunciare alle più lussuose comodità. ..“Memories that cannot be erased and the fascination of a design which like few others have set the trend. (I remember) inspired by Fedeico Fellini’s film.The vacationers are guided through Puglia, Calabria or the Latium region..."
.."And also the magnificent view from the coast road, the “Amalfitana”, can be enjoyed in this nostalgic way..."
und eine der schönsten Küsten Italiens. Rund um Maratea bestimmte der durchgehend hohe Pegel von Glückshormonen den Fahrstil. gebauten Roadsters presst sich durch einen unscheinbar dünnen Performanceauspuff. accompanied by a private teacher who familiarized them with the cultural heritage of the European continent. Meridianosedici’s exclusive tours by modern fuel carriage throughout Southern Italy intend to revive this lovely custom. the places of interest on each route, country houses as well as mansions at the seaside offer suitable accommodation. Classic Car Driver for a short time. "Time-limited vintage-chauffeur. Travelling in style. 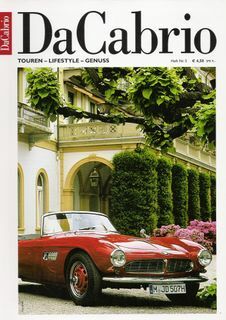 …"
"For three days the Meridianosedici Resort in Calabria places English Vintage Convertibles at guests’ disposal...."
“Step on it ! Autumn is the perfect time for those who want to enjoy a tour by car in a wonderful landscape. glances are directed towards you from every direction - seems to be a dream. For the first time Meridianosedici offers vintage car journeys in Calabria to tour operator TUI..."
Meridianosedici since autumn 2004, an organization who specializes in high quality excursions in this region of Southern Italy. Travelling the South of Italy in a Spitfire. "...Are you afflicted by the roadster-bacillus? The very British one? their tour in caravan. 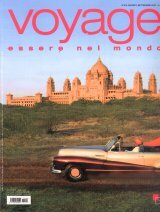 ..."
“Nostalgic Travel: Nostalgic journeys combine modern comfort with the charm of old times. this is how a tour in a historical car along southern regions feels like. And besides - driving-pleasure is a free extra. ....."
Exclusive Offer "....hidden villages in the mountains, orange and jasmine perfume, the sea of the Magna Grecia. and adapting the calm rhythm of the elegant 30 to 40 year old English Convertibles. A private “rally” with five extensive journeys…." can choose between five extensive journeys on a weekly basis...."
Nostalgia on wheels..."The journeys in old English convertibles are our highlight. ", says Tour-Director Julia Jäger. Ten vehicles of the Spitfire series compose the car pool (fleet) of the Meridianosedici Scuderia del Marchesato. purpose for the more comfortable way of driving: ‘We offer our guests a journey on the wings of time’, says d’Ippolito enthusiastically. offered until the end of October, look like. …"
as well as amateurs and experts ...."
A leisure ride through time. Time Travel. "....the scenery: the authentic and somewhat wild Calabria. The vehicle: a fascinating English vintage convertible. five different tours in one week...."